Also in todays Roundup, Francisca Ordega and Tori Huster are the latest NWSL players to head overseas on offseason loans. Eight players have been made available via NWSL’s re-entry wire as clubs began the process of building their rosters for the 2018 season. Teams will have until 1 p.m. EDT on Tuesday to submit a claim on a player. The priority order is the reverse of how the teams finished meaning the Washington Spirit have top priority on anyone they would like. 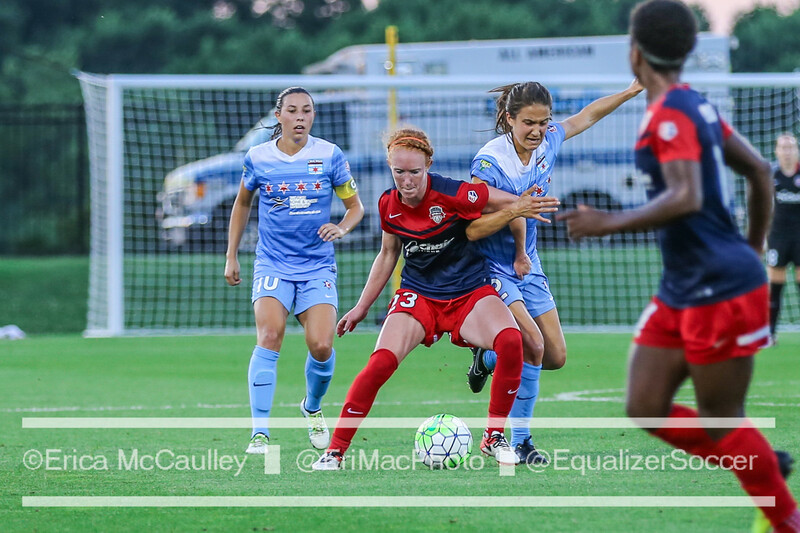 The most prominent player on the list is Spirit midfielder Line Sigvardsen Jensen. The Danish midfielder tore her ACL during the European Championship and is expected to be out at least through the start of the 2018 NWSL season. 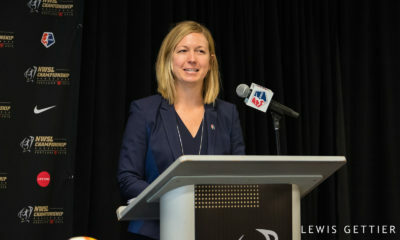 The other seven players are: Jocelyn Blankenship (Orlando Pride), McKenzie Berryhill (Orlando Pride), Kelly Conheeney (Houston Dash), Kendall Johnson (Portland Thorns FC), Natasha Kai (Sky Blue FC), Jordan Obrien (Orlando Pride), and Stephanie Ochs (North Carolina Courage). Additionally, Reign goalkeeper Madalyn Schiffel has announced her retirement. 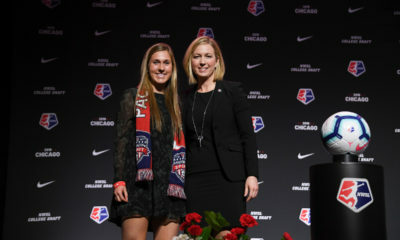 Schiffel was drafted by the Spirit in 2016 and had her rights traded to the Reign last offseason in the deal that sent Christine Nairn back to Seattle in exchange for Havana Solaun. 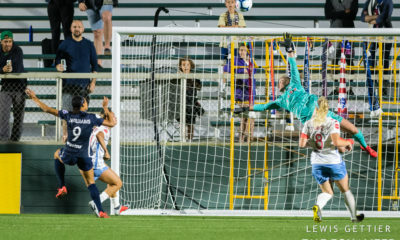 She made her first and only NWSL appearance for the Reign in Washington September 30 and after falling behind 2-0 was the beneficiary of three unanswered goals in a 3-2 win. 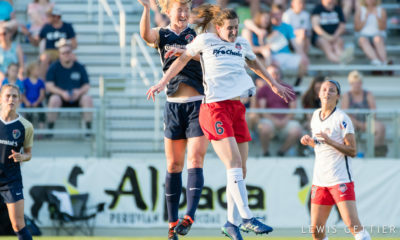 Washington Spirit attackers Francisca Ordega and Tori Huster are two players included in the latest announcements of loans for the NWSL offseason. Although Ordega spent part of the 2016/2017 offseason in Australia playing for Sydney FC, she will not be returning Down Under, opting instead to play for Atlético Madrid. According to the team’s announcement, she will play for the Spanish club until March 2018. Atlético are off to a hot start with six straight wins to open their season and face a top-of-the-table battle at home to Barcelona this Sunday. Ordega, along with Sky Blue FC’s Daphne Corboz (France’s FC Fleury 91), are the only two players being loaned to clubs other than in the Australian W-League. Huster was one of three NWSL players recently announced as having signed with Westfield W-League club Newcastle Jets in Australia. Huster, who last played for the Jets during the 2014/2015 offseason, will be joined by Chicago defender Arin Gilliland and Portland backup keeper Britt Eckerstrom at the club. 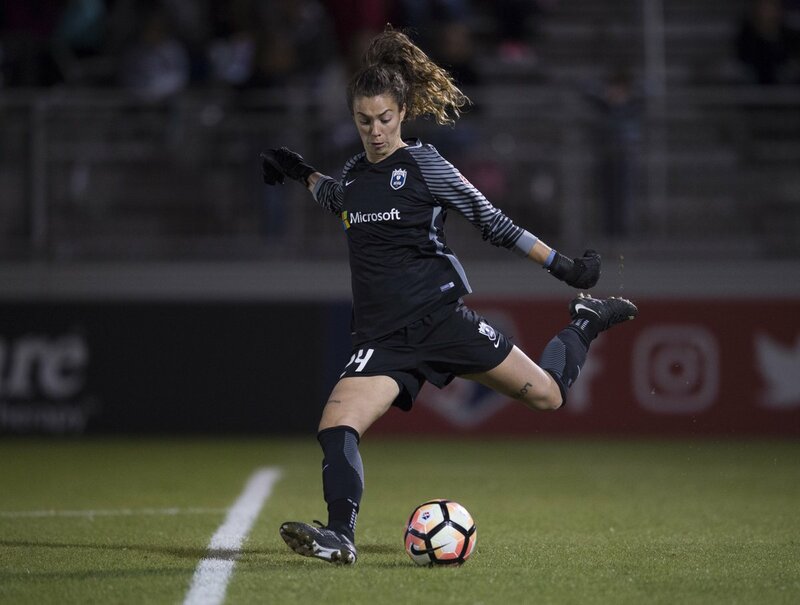 The Boston Breakers had previously announced that midseason acquisition Katie Stengel would be loaned to Newcastle as well, rounding out the quartet of NWSL players loaned to the Jets. Boston also recently announced that fellow Breaker Amanda Frisbie had been loaned to Perth Glory, also of the W-League, where she will play alongside Sky Blue FC’s Sam Kerr, Nikki Stanton, and Raquel Rodriguez and the Orlando Pride’s Rachel Hill. Four Championship-winning stars have returned for our @WLeague title defence! Melbourne City recently announced the returns of several members of its 2016/2017 Championship winning squad. Jess Fishlock, who served as a player-coach during City’s run as repeat champions, will be returning to the club, as will her Seattle Reign teammates Lauren Barnes, Larissa Crummer, Rebekah Stott, and Lydia Williams. Despite rumors of departing the NWSL for Europe, Australian international Steph Catley has also re-signed with City, returning for her third year with the club. 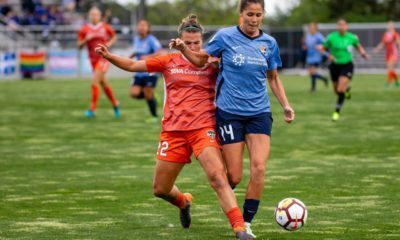 Seattle’s Carson Pickett will be joined by Cascadia rival Celeste Boureille at Brisbane Roar, who previously announced the signing of Boureille’s Portland teammate Hayley Raso. 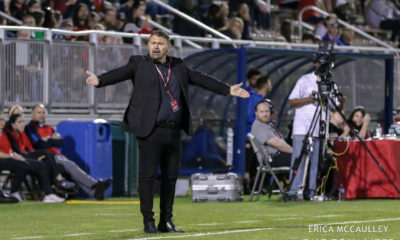 This will be Pickett’s first foray playing Down Under, while Boureille played last season with Raso at Canberra United, where the pair won the Premiership. Lo’eau LaBonta has been loaned to the Western Sydney Wanderers, her stint playing abroad. Rookie defender Kristen McNabb has not officially been announced as being on loan with Melbourne Victory, although a team photo posted to social media has her alongside fellow NWSL players Natasha Dowie and Christina Gibbons.